Hello friends. 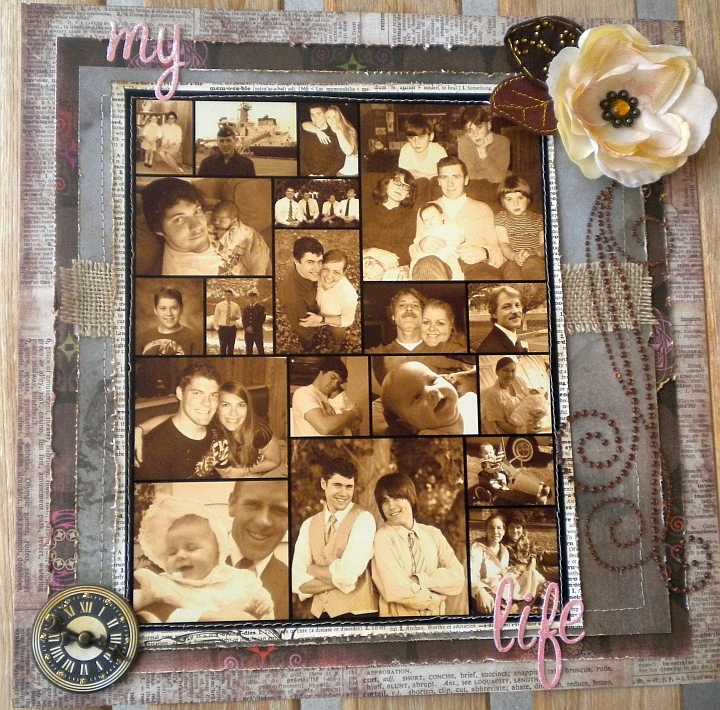 I am proud to be included in the "All About Me" Blog hop hosted by my friend Shelley Peeler at Scrapbooking for Fun. If you came across my post and want to participate in the entire hop please go back to the beginning. Shelley P is offering some fun blog candy too...just follow her instructions to be eligible. I have been doing this blog for a few years now and generally try to keep the "personal" out of it because I want it to be more about the crafts and less about the woman behind the crafts. But, it seems appropriate under the circumstances to give you a brief run down on who the person behind Heartstring Designs is. I was born and raised on the western coast of Oregon in the United States. I have always loved to draw, paint, and be creative. I was fortunate to receive a small talent grant out of school that helped to put me into Art studies in college. Although I never received my degree in Art, I did glean a lot of information that has helped me to cultivate my interests and talents. Over the years I kept very busy keeping the creative side alive by painting and also designing rubber stamps for various companies. I discovered craft bazaars and scrapbooking and finally found that what I really love is card making and mini albums. This blog has been a fun outlet to share my ideas and hopefully inspire someone who is interested in the same books. I now live in Boise, Idaho and am a Team Lead at a major Utility company that covers 8 states. My job is very time consuming and somewhat stressful, so I find the art as an outlet for that stress. In any spare moments that I have, I enjoy spending time with my sons, their wives, and my husband and I love the moments we get to spend with our grandchildren. I know I have been blessed and am thankful for the life I have been given. Here is a layout I created with photos of me over the years and my family. You can click on the photo for a closer look at the details of my layout. Thank you for joining me. Here is the lineup of the other blogs you can hop along to and visit. I love your layout collage and I am a new follower! Love, love, love your collage! And thanks for sharing a little about you with us! BTW I'm a new follower! Wow..that is one awesome layout. Love it. Thanks for sharing. i am a new follower! love your blog! and the photo... Janet R.
Oh my... GORGEOUS!!! I love love love your LO. I love the vintage look! I need to try that on a LO one of these days. PS: new follower now, cant wait to see what else you are creating! Beautiful photo collage Shelley. I love all the different photos and the beautiful additional details, especially the pearl swirl. Love that layout Shelley!great colours! I'm a follower and love your collage of photos, and the matte finish swirl of beads on the right! What a beautiful collage. I am a new follower. Thanks for sharing about yourself. That is so sweet. I love the layout! Thank you for sharing! Shelley, I love your layout! As usual you did an amazing project. Thank-you for joining and supporting me in this hop!!! love your layout. Just signed up as your newest follower! Glad to be part of this hop with you. Love your page it is lovely, Sounds like you have had a fulfilling life. I am a follower now. Thanks for sharing your information. Great LO. Shelley, your collage is wonderful. Thank you for sharing your story. I am a new follower. This is an amazing layout love the pictures and all the details you added. Beautiful photo collage layout!! Love how you have all of those photos on there! Great job! Happy to be a new follower! Beautiful layout. I love all the pictures. Shelley, your layout is stunning!!! What a beautiful tribute to you and who you are. I had a great time hopping with you!